"Cream of the Crop" and an Incredible Visual Experience! 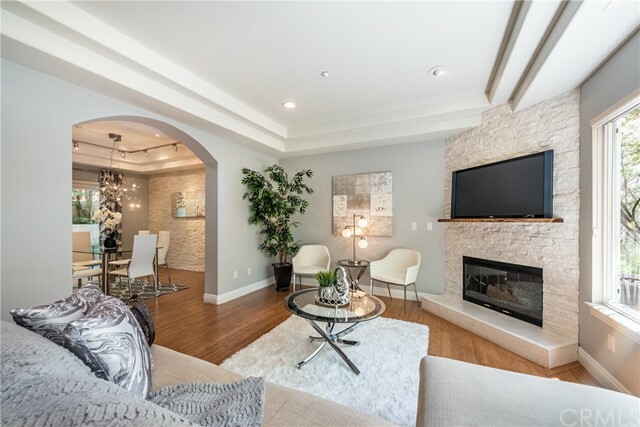 Just completed, full remodel with impeccable attention to detail and design, not to be found in any other unit currently on the market in 90403 neighborhood. Wide plant hardwood floors lead you on a path throughout the entire two bedroom, two and a half bath townhome with open living, dining, kitchen and private outdoor space. Each generous size bedroom has vaulted ceilings and wall to wall closets. Stylish master bath has separate tub/shower, double vanities - vaulted ceilings and skylight with bright natural light. Full sized laundry inside -direct access to oversized 2 car, side by side parking and storage. Low homeowner dues include earthquake insurance in this intimate, secured 5 unit building. Based on information from California Regional Multiple Listing Service, Inc. as of 12/21/2018 1:28:45 AM PST and /or other sources. All data, including all measurements and calculations of area, is obtained from various sources and has not been, and will not be, verified by broker or MLS. All information should be independently reviewed and verified for accuracy. Properties may or may not be listed by the office/agent presenting the information.